Enjoy the best inspirational, motivational, positive, funny and famous quotes by Alvaro Uribe. Use words and picture quotations to push forward and inspire you keep going in life! 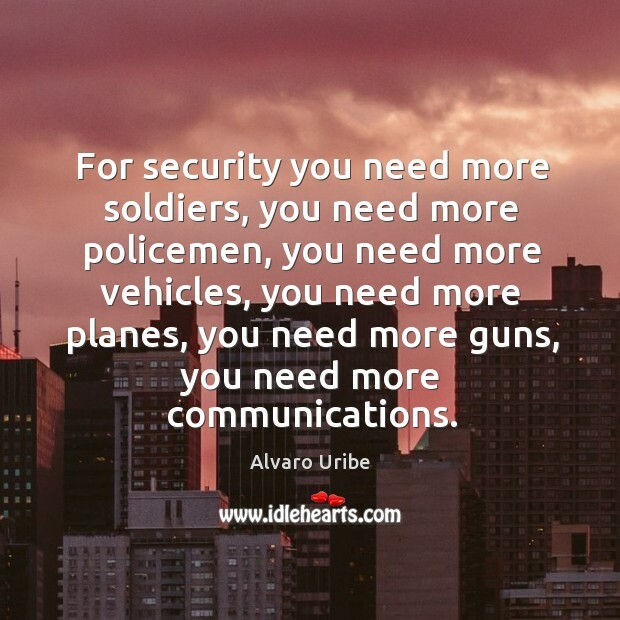 For security you need more soldiers, you need more policemen, you need more vehicles, you need more planes, you need more guns, you need more communications. No one can feel as the owner of the country and no one can feel excluded from the right of property. We must all suffer Colombia. 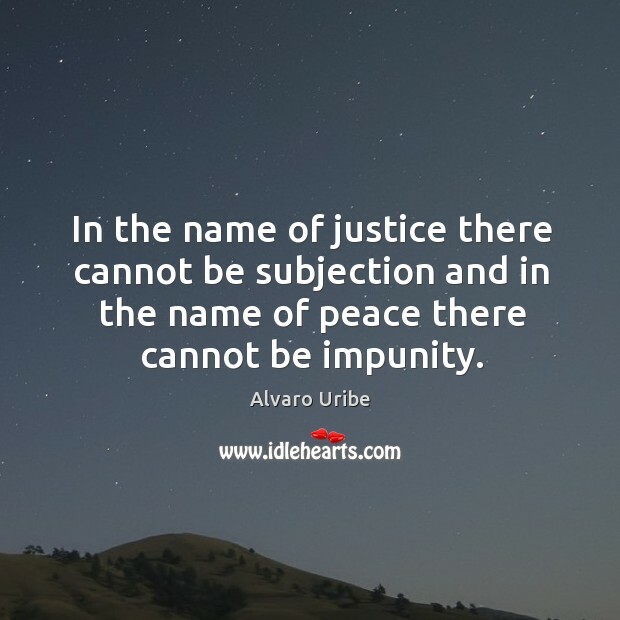 In the name of justice there cannot be subjection and in the name of peace there cannot be impunity. 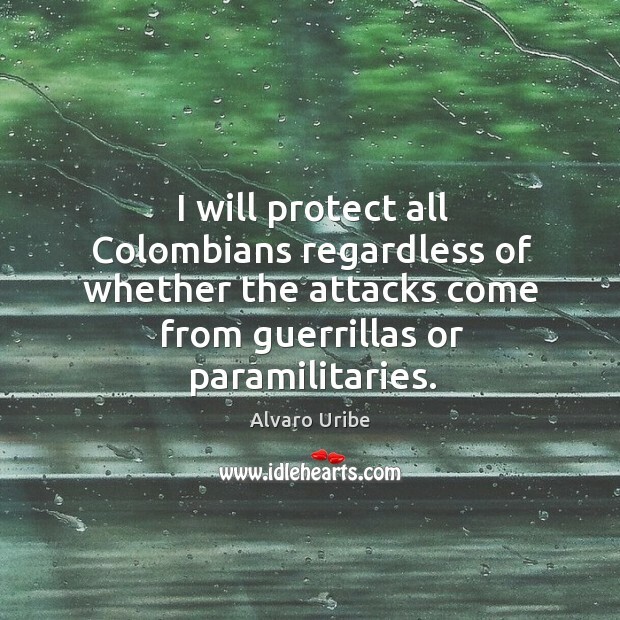 I will protect all Colombians regardless of whether the attacks come from guerrillas or paramilitaries. I just want to serve Colombia. 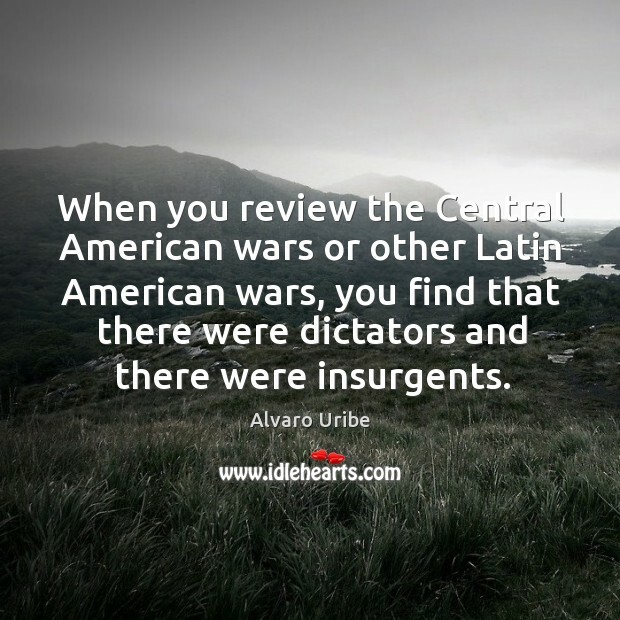 When you review the Central American wars or other Latin American wars, you find that there were dictators and there were insurgents. 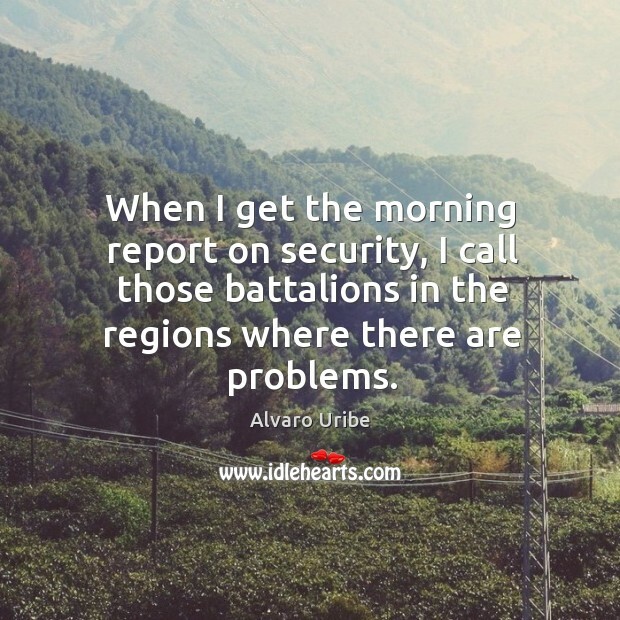 When I get the morning report on security, I call those battalions in the regions where there are problems. 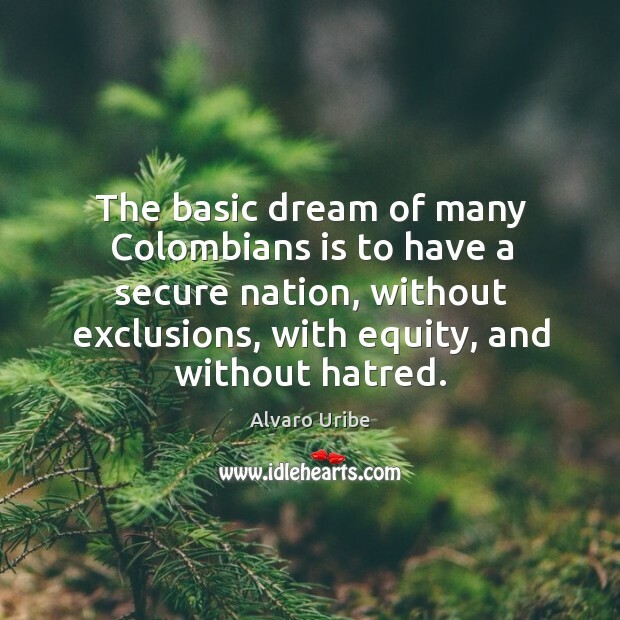 The basic dream of many Colombians is to have a secure nation, without exclusions, with equity, and without hatred.